Three Clementine Rose stories in one gorgeous collection! Clementine Rose was delivered not in the usual way, at a hospital, but in the back of a mini-van, in a basket of dinner rolls. So begins the story of a lovely little girl who lives in Penberthy Floss in a large ramshackle house with her mother, Lady Clarissa, Digby Pertwhistle the butler and a very sweet teacup pig called Lavender. Join Clementine Rose and Lavender in the first collection of this beloved series, for three times the fun! 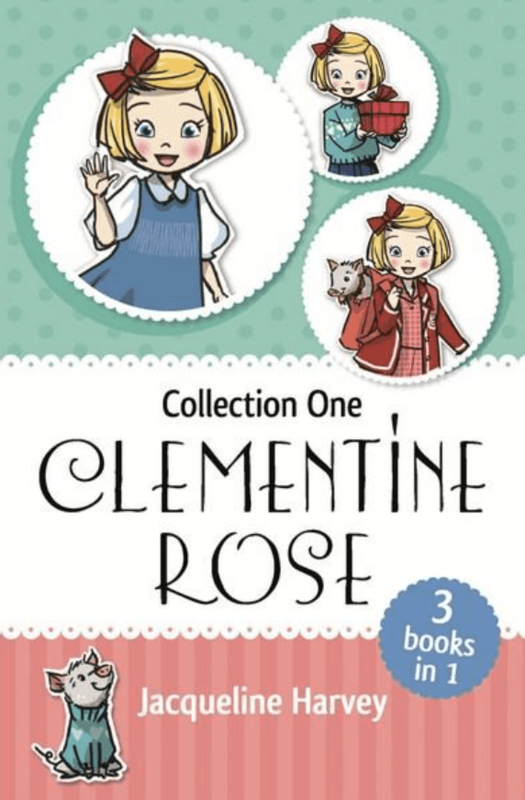 This collection contains Clementine Rose and the Surprise Visitor, Clementine Rose and the Pet Day Disaster and Clementine Rose and the Perfect Present. Jacqueline Harvey's bestselling Alice-Miranda series began as an idea for a picture book but it soon became apparent that this perpetually positive seven-and-a-quarter-year-old had a lot more to say. The series has been sold to the United States, United Kingdom, Indonesia and Turkey and has been shortlisted for children's book awards in Australia. Her first and only picture book, The Sound of the Sea was an Honour Book in the 2006 Children's Book Council Awards. Jacqueline has spent most of her working life teaching in girls' boarding schools and has been a Deputy Head and Director of Development. She is passionate about improving educational outcomes for Indigenous students. Jacqueline lives in Sydney with her husband Ian and is currently working on more Alice-Miranda and Clementine Rose adventures.